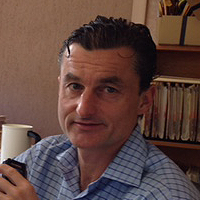 Dr. Mircea A. Morariu was born on September 12, 1968 in Cluj, Romania and immigrated to the United States in August of 1975. He went to Bloomfield Hills Public School until September of 1982 when his parents moved to Boca Raton, Florida. He attended Pope John Paul II High School and graduated in 1986. His education was continued at Brown University in Providence, Rhode Island where he majored in Neuroscience (Class of 1990). Dr. Mircea A. Morariu attended the University of Miami School of Medicine in Florida where he was inducted into the Alpha Omega Alpha Medical Honor Society in his third year; he served as the Alpha Chapter President during the 1994/95 academic year. After completing an internship at the Georgetownaffiliated Fairfax Hospital in Falls Church, VA, he finished his Neurology residency at the Georgetown University Medical Center in Washington, D.C. in June, 1999. Dr. Morariu is Board Certified in Neurology by the American Board of Psychiatry and Neurology. He also completed a one-year fellowship in Neuroimaging (specialized training in the interpretation of MRI, MRA and CT) at the Dent Neuroimaging Center in Buffalo, NY. He is certified in the interpretation of MRI and CT by the American Society of Neuroimaging (ASN), and is also on the ASN MRI/CT certification exam writing committee. In addition, he is a voluntary Assistant Professor of Neurology at University of Miami School of Medicine. He has a current Florida medical license, and has also been licensed to practice medicine in New York and Virginia.